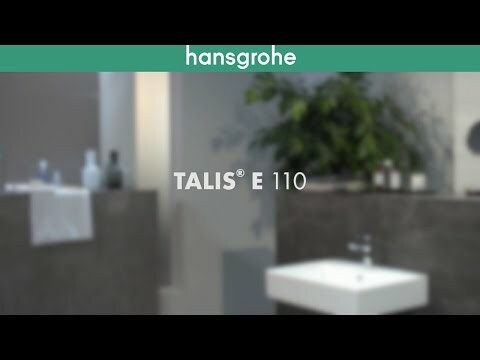 Talis mixers are exceptional products offering ultimate convenience for wash basins, in bath tubs and showers. Talis mixers feature Select technology, enabling the lever to disappear – form and function blend together elegantly, at the touch of a button. Extra convenience: some Talis mixers offer you even more space thanks to their rotatable spouts. AirPower Technology: With this shower technology, Hansgrohe mixes water with air, and you feel pleasantly sparkling AirPower all over your skin. As water enriched with air makes the droplets plumper, lighter and softer. This means you use your water more efficiently. EcoSmart Technology: Hansgrohe mixers and showers, which are fitted with EcoSmart technology, require up to 60% less water than conventional products – without any loss of comfort. This means you can reduce your water and energy costs and conserve valuable resources. ComfortZone - Excellent user comfort - Generous proportions, sophisticated technology, intuitive operation. Outstanding design, high safety standards and considerably enhanced comfort: Hansgrohe showers, mixers and thermostats with this trademark extend your ComfortZone.